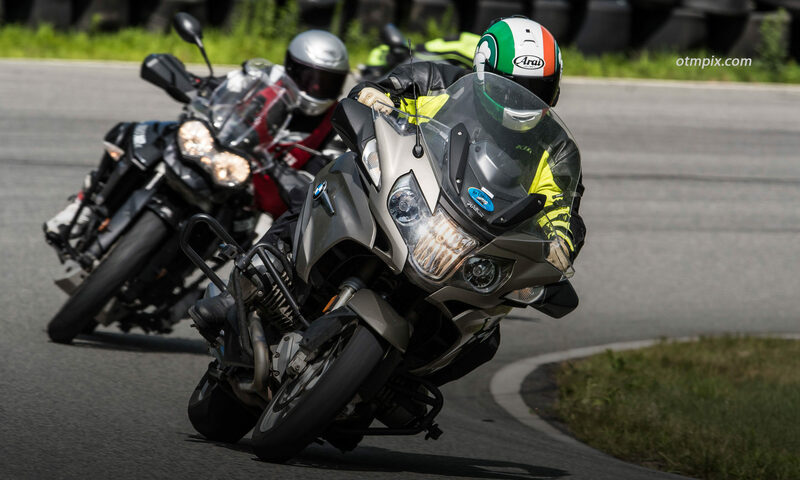 The latest guest post is from long-time track day rider and club racer, Ian Vivero from Smelly Dog Racing who has an interesting point of view about post-crash psychology. So, listen up. The floor is yours’ Ian. In 14 years of riding I have, thankfully, only had a handful of crashes, and most were more embarrassing than anything else. Tip over’s at a stop or low speeds due to a patch of sand, a misplaced foot, etc. are common and happen to (almost) everyone in their early years. Even as a seasoned rider I recently tipped over my brand new Victory thanks to an unfortunate combination of factors. These things can hurt one’s pride, but for most we can walk away with minimal damage to self and bike, learn from our mistakes, and move on. These events are not what this post is about. What I do want to talk about are two crashes, both of which occurred on the racetrack. The first one occurred during a track day on my 919, which was the result of a bad line that pushed me into an off-camber part of the track and left me with less than zero ground clearance, picking up my tires and putting me on the ground. The second occurred during a race in the rain when I crossed a paint line while trail braking into a corner and the front tire ran out of grip resulting in another low side. Despite the obvious differences, there were many similarities between the two crashes. In both cases I was relatively unhurt and the damage to the bike was minimal enough to allow me to ride back to the pits. In both cases I knew exactly what I had done wrong (bad line, trail braking over wet painted markings) and how I could have avoided it. That’s the good news. The bad news is that I was left with a lasting reduction in confidence that I didn’t experience from my other get-offs. Why? Both occurred on a race track so perhaps it was the venue, though I’ve gone down on the track before and not had the same issue. And while the damage to the bike and my injuries were worse than a simple tip over, I’ve had worse mishaps that I was able to shake off. So what caused me to be so shaken up? I believe the “when” mattered more than the “where” or “how”. You see, both crashes happened at the end of the day, which gave me no chance to get back out. Instead, I was left to wait until the next track day or race weekend to correct my mistake. This allowed my mind to endlessly replay the incidents over and over for days or even weeks. Replaying the incident made a relatively minor crash grow into something much bigger and far scarier. When I finally did get back on track, it suddenly seemed like a dangerous place for me to be. All of this was purely mental of course. By then I had largely recovered physically and the bike was mechanically sound. But because my mind was so clouded, my riding suffered horribly. Without realizing it, I began to fight myself in every corner, which caused me to keep running wide. To compensate I started braking earlier and crawling through the turns. My muscles grew tired and sore within a couple laps from constantly working to keep the bike under control. My death grip on the bars left the front end feeling vague, leading to even less confidence. Each session left me more frustrated and exhausted than the last. Eventually I noticed what I was doing and began to relax and by the end of the day things seemed to be working properly again… And yet I was riding at a level far below where I had previously been. It took a great deal of time and effort to regain my lost mojo. Time and effort that could have netted some real gains were spent simply getting my confidence back. Which leaves me with this piece of advice for whoever cares to take it: The next time you drop your bike in a parking lot, lose your footing at a red light, or carry a bit too much speed at a track day and end up in the weeds, get up, get back on the bike and do whatever you just tried to do again, only this time do it right. Not only will you learn something in the process that can make you a better rider, but you will also retain your confidence before it has a chance to run off without you. Thanks, Ian. The aftermath of a crash can be both physically and mentally scarring. I’ve seen countless riders lose confidence after a scare and either give up riding or not enjoy riding the way they had previously. While we cannot expect to avoid all mishaps, we can minimize them by riding within our limits (even when racing). Some say you have to crash to learn how to ride fast and win, but I don’t think it is a prerequisite. Yes, crashing comes with the territory of racing hard, but it usually sets you back and is generally a bad idea. You can learn to win without crashing, IMO. You do this by learning all you can about traction and how a motorcycle stays on two wheels. This knowledge comes from many sources, including quality blogs, books, instructors and other skilled riders. But in the end, the secret to minimizing crashes is for you to apply this knowledge on every ride or race and develop sensitivity to the physics of riding well, at any speed. This post basically sums up my first track day this past Saturday since my crash last fall on the track! You are completely right, its about the “when”. My crash happened at the end of the day, towards the end of the season! Plenty of time past to allow all sorts of confidence killers into my mind, although I was fine to head back out on the road after healing up with minor trepidation. When I went to the track the past weekend -and not the track I crashed at -I was shaking in my boots! I white knuckled the grips and fought every movement. It was the most exhausting day of riding. I settled down some towards the end of the day, and I have a ways to go to get back to where I was. I’m up for the challenge though! Ken, I couldn’t agree more about the “crash to learn” philosophy. Some people really believe it unfortunately, so they keep on racking up injuries, and repair costs. Staying off the ground is key to making progress. But truth be told, in many cases you CAN’T get right back out there. Bikes and people don’t bounce so well on pavement. I would offer another tactic. When you replay the incident over and over in your head, don’t let it end with the crash, but visualize a positive outcome. Saving the crash, or even doing things right to avoid the whole thing in the first place. That way when you CAN get back on track, you are not fearing the same outcome. On April 12th, I experienced a slow speed crash while practicing our routine as a member of the Ft. Lauderdale Harley-Davidson Drill Team. I shattered my left tibia in 8 pieces and have had 2 surgeries to insert plates and screws. I have replayed the accident a thousand times. I don’t know when I will be riding again (I am still not allowed to put weight on the left leg), but I am sure I will be rusty and a little apprehensive. But I WILL get back at it once my leg is healed. And, as much as I have replayed the accident in my mind with a positive outcome, the reality is that I am nursing a badly broken leg. And this occured not at track speeds, but at 5mph! Riding a motorcycle is great fun, but one can never take the danger for granted!